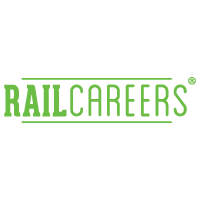 Rail Careers is a campaign to promote the multitude of rewarding career opportunities that exist in the rail industry, and the variety of pathways available for entering the rail workforce. The Australasian Rail Industry is diverse, innovative and technologically advanced, and is in a period of significant growth. It’s an exciting time to be involved in an industry which is transforming our cities and regional communities. Projects driving this boom include the Cross River Rail in Brisbane; the Inland Rail; Sydney and Melbourne Metros; the Level Crossing Removal Program; the Metro net project in Perth; rail extensions in South Australia; expansion of rail lines in the Pilbara; and numerous light rail projects in cities across the country. Recent studies have shown that already committed to projects will continue to see the rail sector’s employment needs grow in the coming decade. The rail industry looks for applicants who are able to bring a variety of skills and attributes that will add value to rail across Australasia. Whether you are leaving school, changing careers or returning to the workforce, rail offers a diverse range of exciting career opportunities and there has never been a better time to apply. Regardless of your educational background or your workforce experience, the rail industry has many opportunities for individuals who are looking for a career with plenty of on-the-job support through training and development. Apprenticeships, internships, traineeships and graduate positions are available. With rail organisations located across Australia and New Zealand, the rail industry has a network of opportunities and jobs in all major cities, and in regional and remote locations. At Rail Careers you’ll enjoy lots of benefits, like world class training, great pay, ongoing job security and the opportunity for career advancement. The Australasian Rail Industry is diverse, innovative and technologically advanced, and is in a period of significant growth. It’s an exciting time to be involved in an industry which is transforming our cities and regional communities.